America is truly a beautiful country. Best of all, you don’t need a passport to see all its gorgeous landscapes. 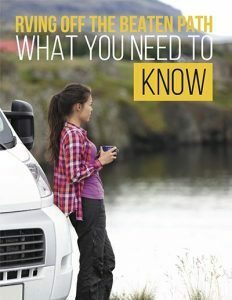 All you have to do is get in your RV for the road trip of a lifetime. Have you ever wanted to see a glacial valley? If so, Yosemite Valley is right up your alley. 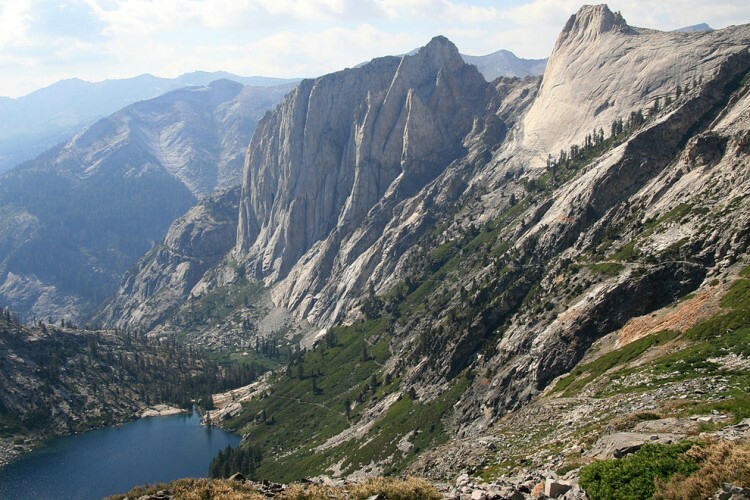 This eight mile glacial valley is surrounded by granite summits like El Capitan and Half Dome. It is an excellent place to visit for both photographers and tourists alike. This destination also has many scenic trails for those who love hiking. 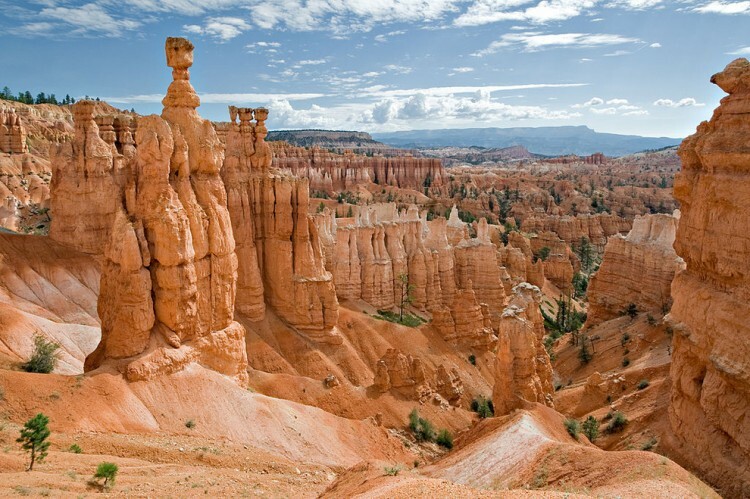 The geological structures of Bryce Canyon were created by stream erosion and cold weather. 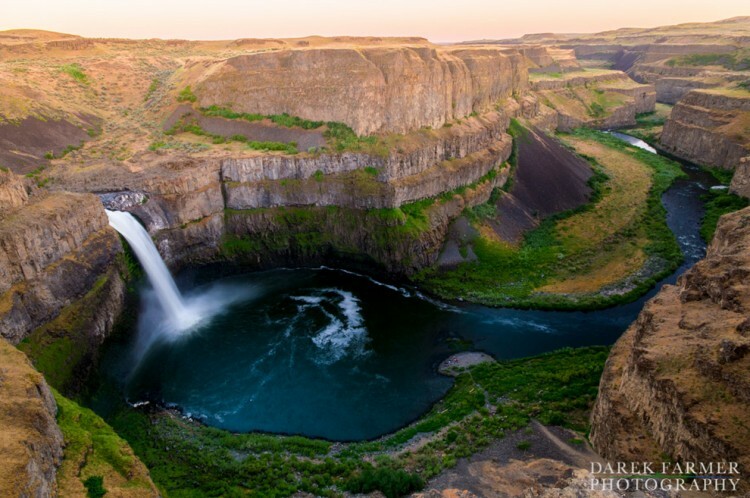 You shouldn’t miss a chance to see this large collection of colorful natural amphitheaters. Known for its majestic sequoia trees, this park is home to the General Sherman Tree. In fact, this particular tree is widely considered to be one of the biggest in the entire world. At 300 feet tall and thousands of years old, this is one amazing tree! This beautiful park borders both Montana and Canada. It consists of over 1 million acres and its extreme beauty attracts about two million visitors per year. Located in Juneau, this 12 mile glacier is something truly special to behold. 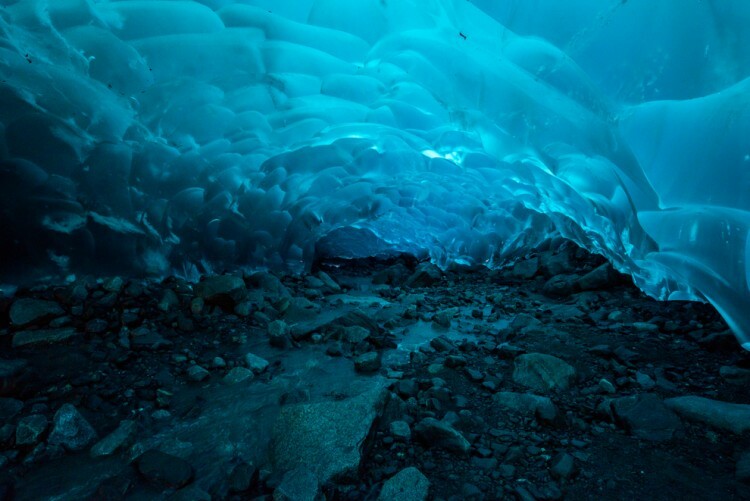 A visit to this destination will blow your mind when you see these ethereal-looking ice caves. 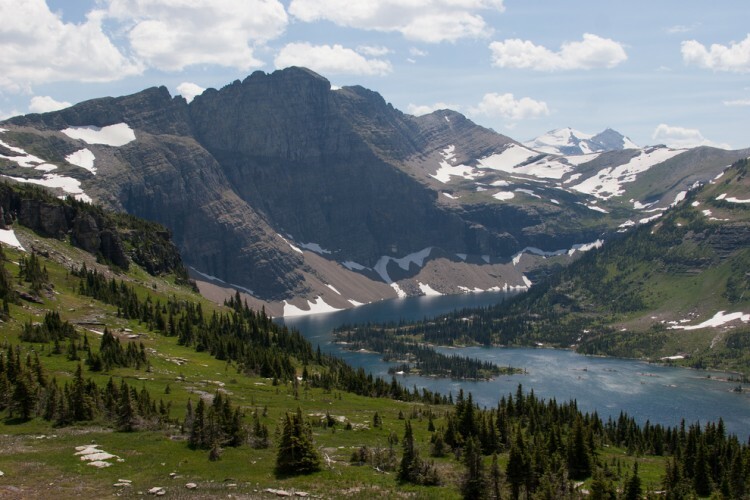 Simply follow the West Glacier Trail to arrive at this amazing location. Believe it or not, this natural pool contains virtually all the colors of the rainbow. It is considered to be the biggest hot spring in the United States, and the third largest in the entire world. Grand Prismatic Spring can be found at the popular Yellowstone National Park. 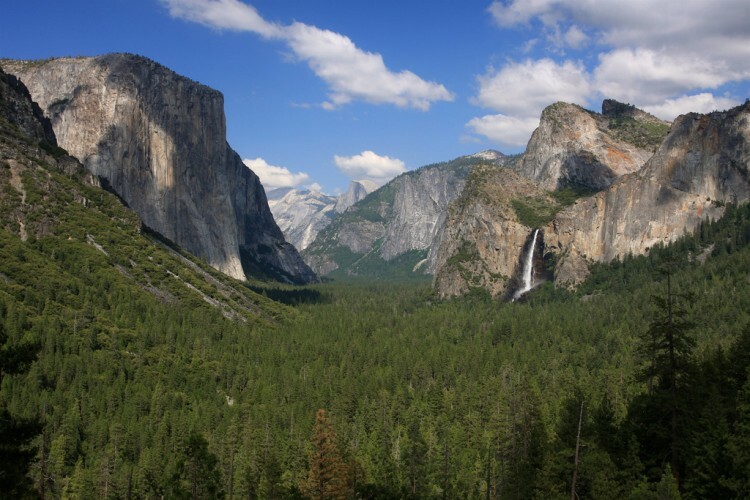 This park is also known for Old Faithful, Morning Glory, and other famous attractions. 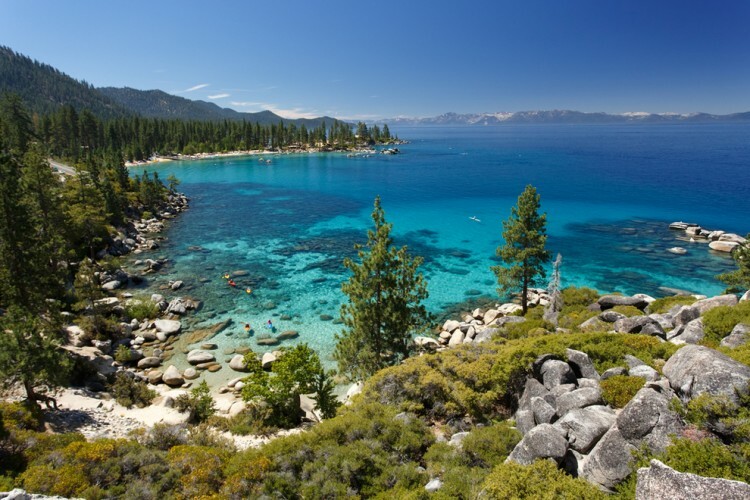 Lake Tahoe borders two states, Nevada and California. It is the largest freshwater alpine lake in North America. The majestic trees and clear waters of this beautiful lake make it an excellent vacation spot for the entire family. 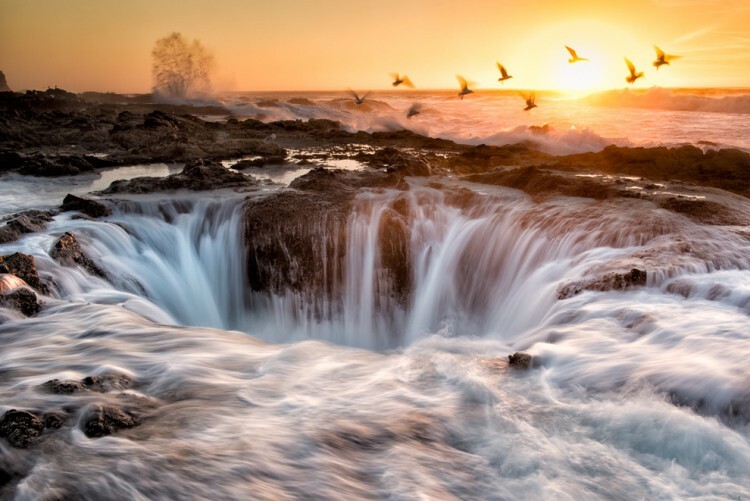 Thor’s Well lies along Cape Perpetua in Oregon. It’s a saltwater fountain that is created by the awesome power of the tide. The best times to experience its true majesty is about an hour before or after high tide. It’s quite an amazing sight, but it’s important to note that it is also quite dangerous. Visitors should tread carefully while visiting this awe inspiring attraction. This beautiful slot canyon is located just outside of the city of Page. It is divided into different colorful sections called “The Corkscrew” and “The Crack.” It is a natural canvas of structure and color that you have to see to believe. Technically, this steep hiking trail is closed to the public. But the “No Trespassing” signs haven’t stopped visitors from attempting to reach the top. 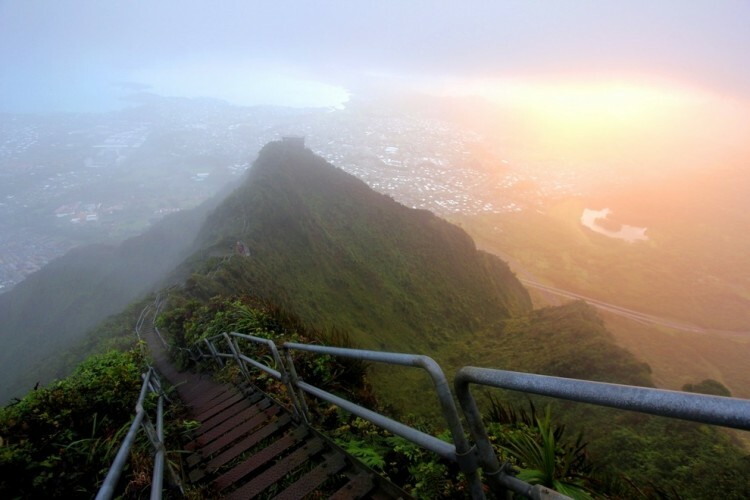 A chance to climb the “Stairway to Heaven” makes it okay to break the law right? 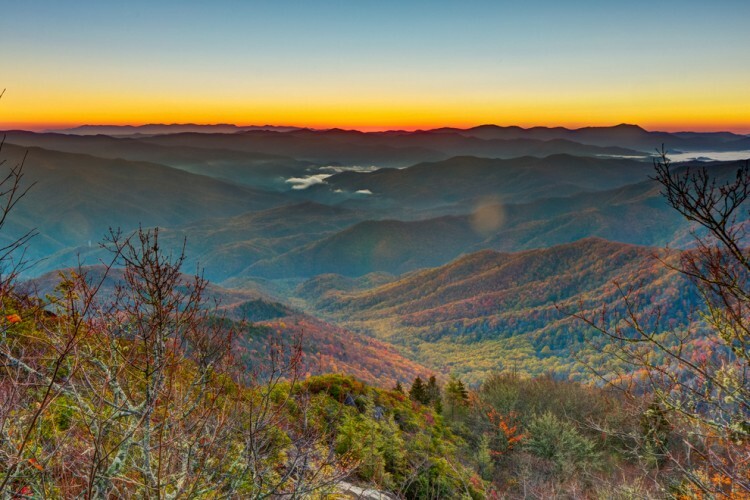 The majestic Smokies sit between Tennessee and North Carolina. 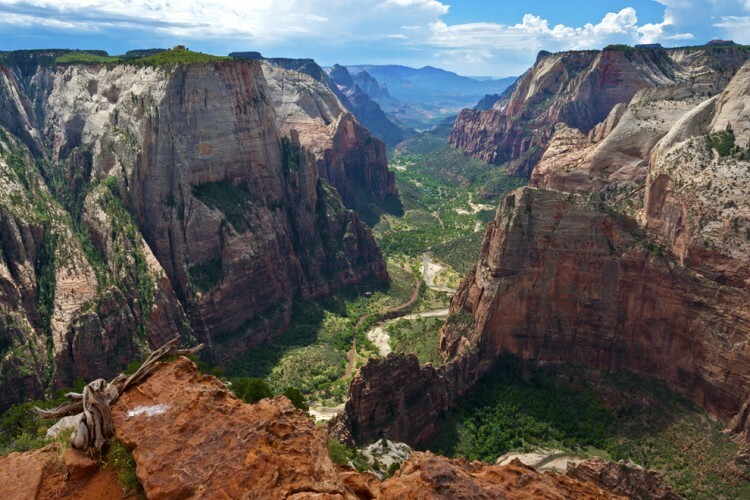 The sheer beauty makes it the most popular national park in the entire United States. In fact, over 9 million visitors vacation here every year. Be sure to check it out so that you can experience the splendor for yourself. This area was used as a hunting ground by Native Americans for over 10,000 years. These days, its orange and red rocky mountains make it a popular tourist destination. In fact, almost 1 million visitors come to see this scenic area every year. 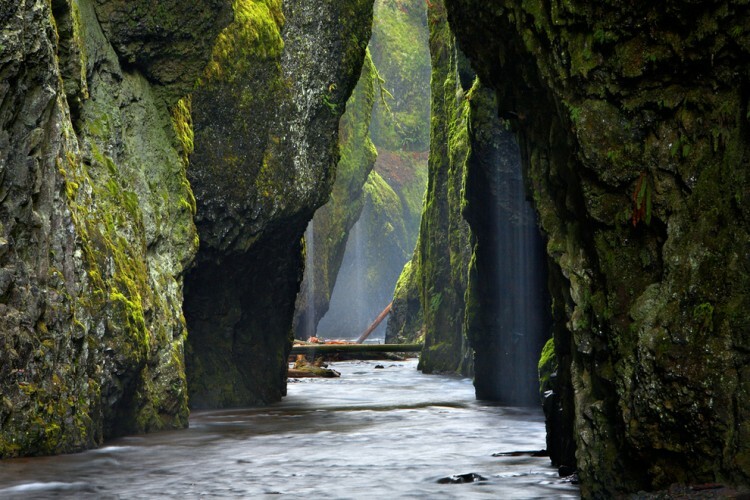 Located in the Columbia River Gorge, this area looks like something out of a fairy tale. The large variety of woodland and aquatic plants that call this gorge home offers visitors a unique setting for a quiet stroll. Beneath the rocky land of this national parks lies over 100 caves that are just waiting to be explored. 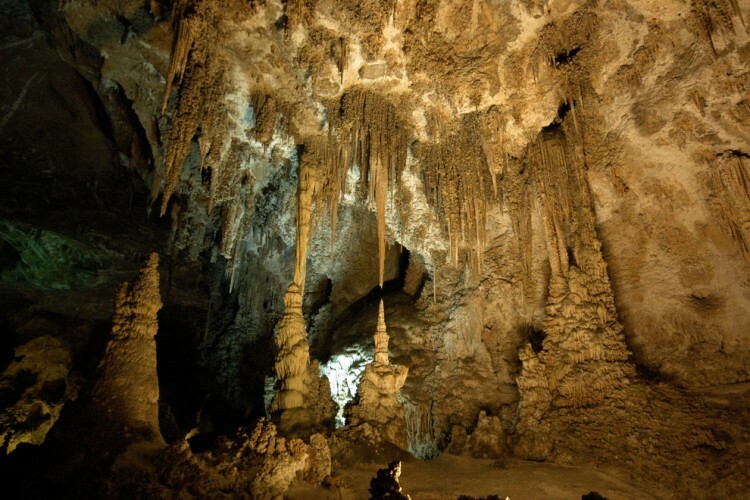 These caverns were formed by sulfuric acid and limestone thousands of years ago. You can visit them by going through the majestic main entrance or taking an elevator down 800 feet. Needless to say, this vacation destination is not for the claustrophobic. Everyone has heard of Niagara Falls. This dazzling vacation spot is well known due to its inspiring beauty. 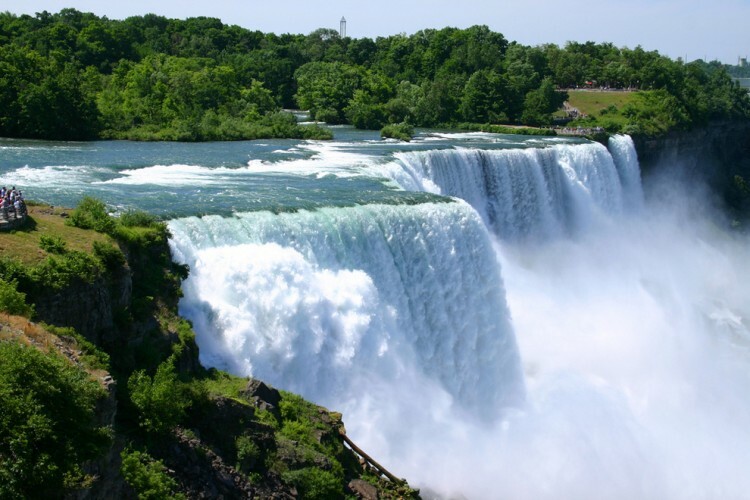 The Falls are located in northern New York and are an attraction that every American should visit. Savannah is the oldest city in Georgia and has an air of old-world Southern charm. 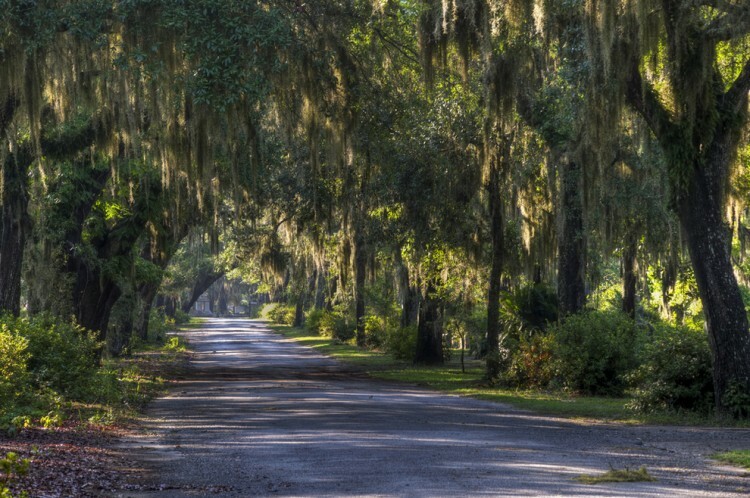 Its fairytale-like array of Spanish moss trees only add to this aura. Take a trip to Savannah and experience the essence of true Southern hospitality for yourself. This giant igneous rock rises over 5,000 feat above sea level and is truly amazing to behold. The unique formation has inspired many Native American folktales. 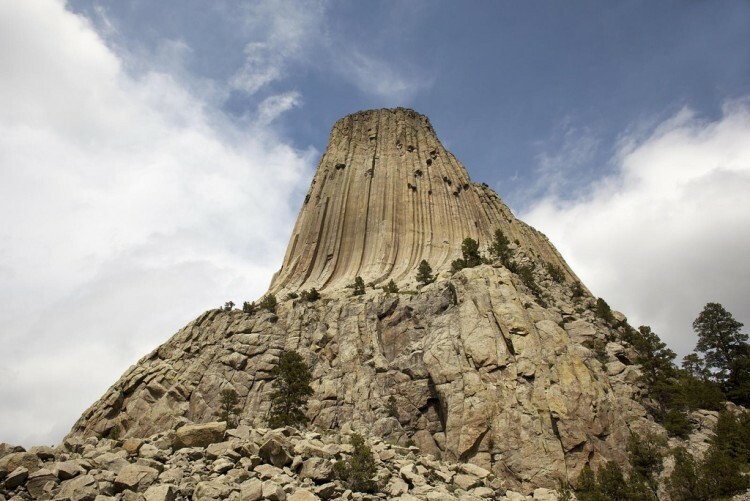 In fact, one of these stories states that the Devils Tower came into existence because of some little girls. They were playing outside when they were discovered by some dangerous bears. The terrified children tried to escape from the murderous animals by climbing a rock. They also sent prayers to the Great Spirit to save them. In answer to their prayers, the rock grew towards the heavens, taking them away from danger. When they reached the sky, the Great Spirit turned them into constellations. Although you cannot get to this location by car, this hasn’t diminished its popularity at all. 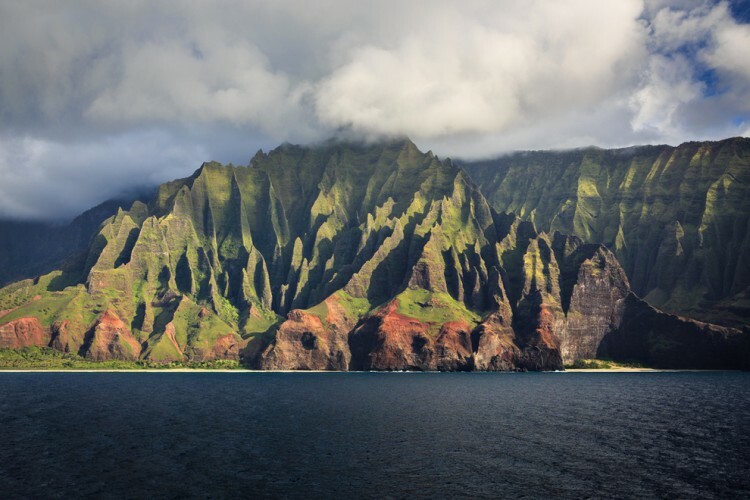 Instead, most visitors see them from the air (on helicopters), or by hiking the Kalalau Trail. If you decide to hike to this location, you will also get the chance to explore some caves that lie along the coast. 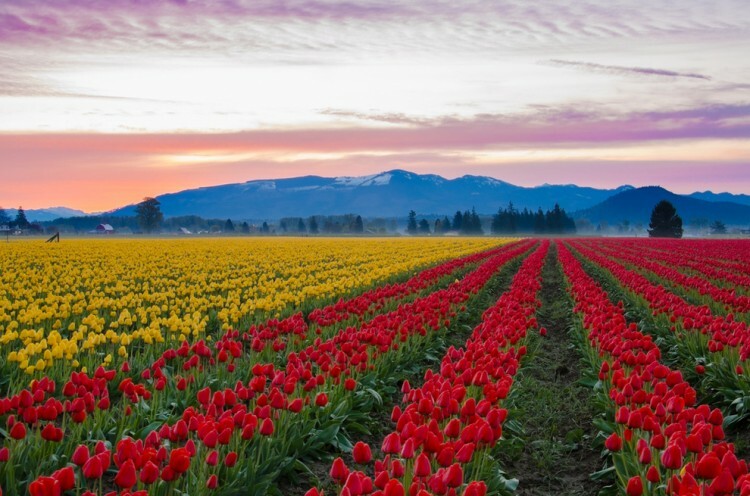 To experience the true beauty of these flowers in bloom, you must visit this location in April. 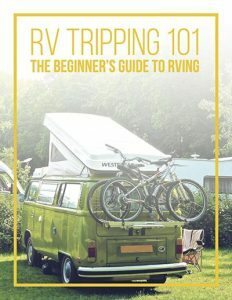 Be sure to check out the driving tour festival to fully experience the flowers in all their glory. This scenic location is located in the heart of Buffalo River Country. Its exquisite surroundings make it a great spot to take beautiful photos and bask in nature. Some have even proposed to their significant others in this picturesque location. Just in case you would like to know, the best time to take the best pictures is around 6am in the morning. This enchanting scene in Washington is truly a sight to behold. Did you know that this location was almost destroyed in 1984? When the Franklin County Public Utility District decided they wanted hydroelectric power they wanted to build a dam at this location. Thankfully they didn’t go through with it and we can still see this beautiful destination in all its glory. 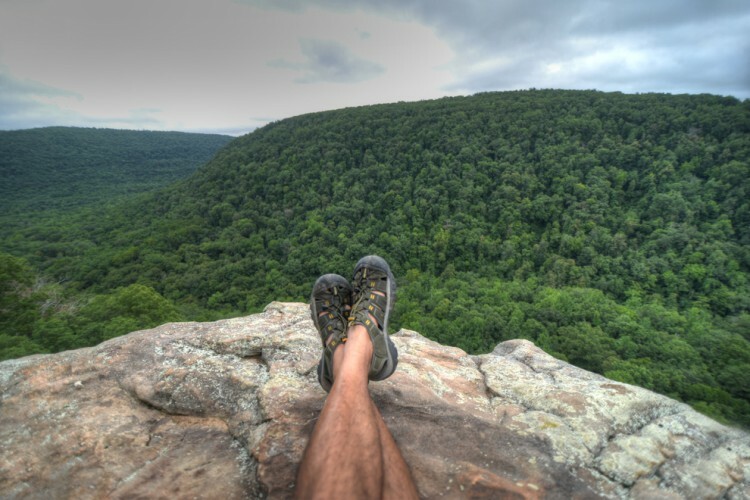 This wilderness area has over 100 miles of trails to explore. 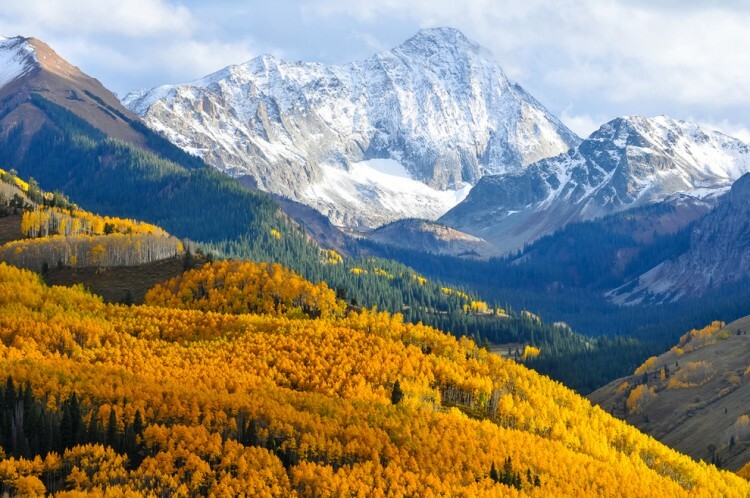 It is located in the Elk Mountains close to Aspen, CO. 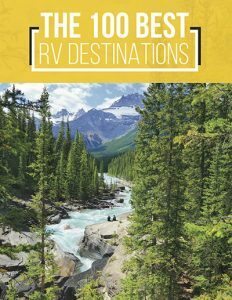 The entire area spans almost 200,000 acres which means wilderness lovers are in for the treat of a lifetime. 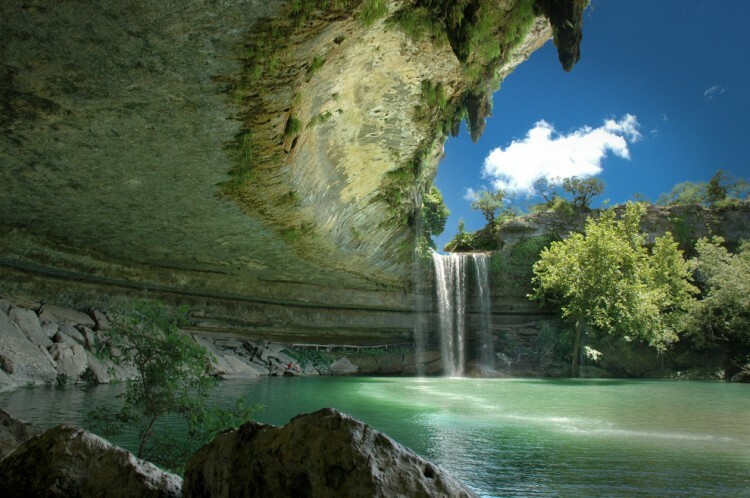 This picturesque spot lies just outside of Austin. It was created thousands of years ago when the dome of an underground river gave way due to erosion. It is a popular spot to visit, especially in the summer. 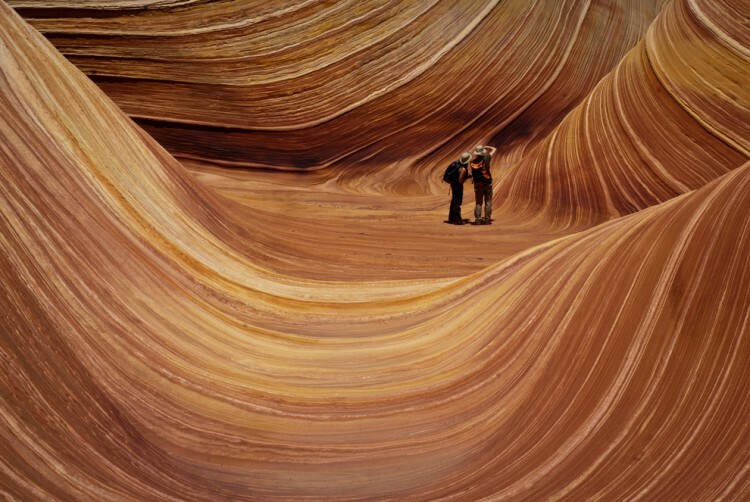 The Wave is located in the Paria Canyon-Vermillion Cliffs Wilderness. 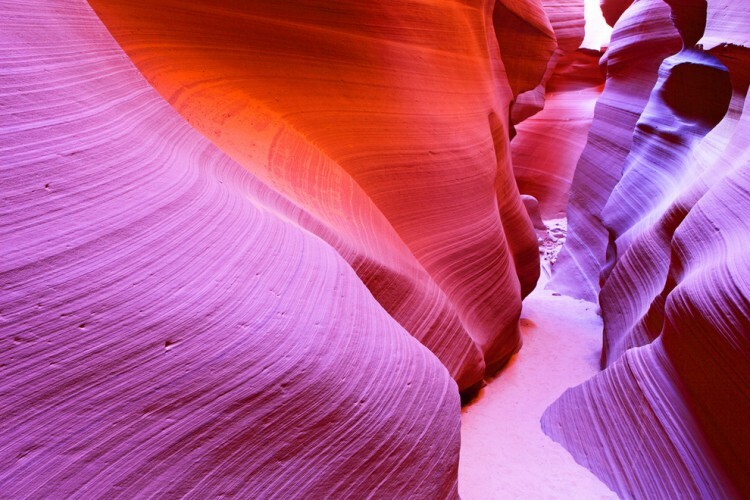 It is a sandstone rock formation that is so beautiful that it doesn’t look quite real. 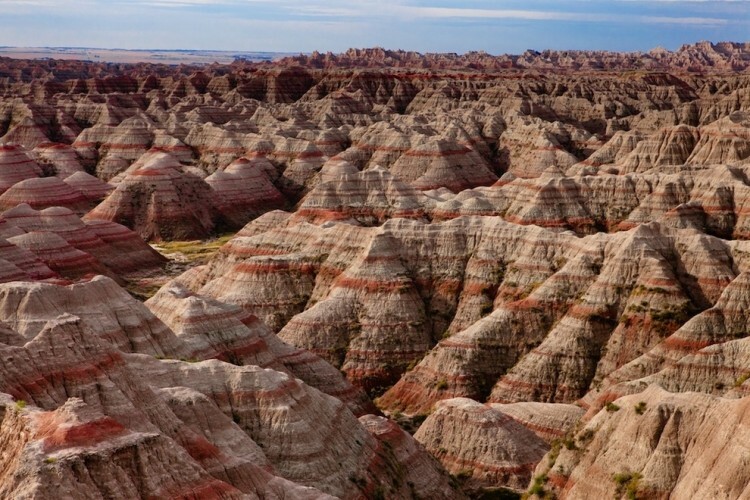 In fact, this area looks like something out of a surreal painting. This area is widely known for the hike that one has to take to reach it as well as its vibrant colors. 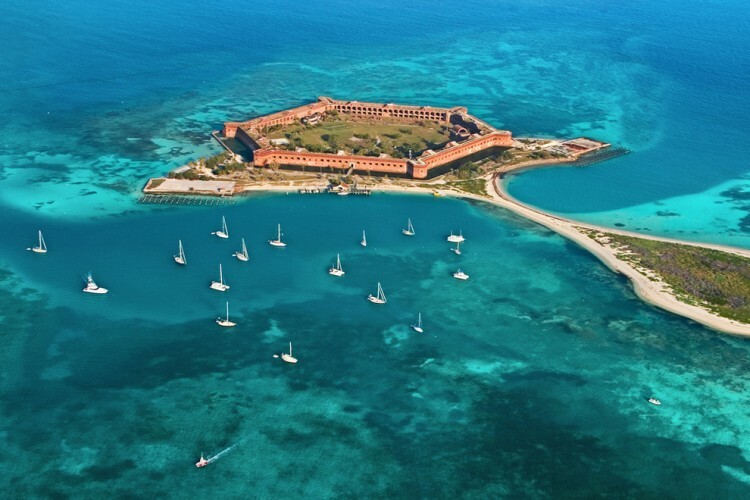 If you want a taste of tropical island life, a trip to Dry Tortugas National Park is well worth it. This secluded locale is situated about 70 miles west of Key West in the Gulf of Mexico among the crystal clear waters and many varieties of sea life. To make things even more exciting, this national park is only accessible by seaplane or boat. If you are looking for a vacation spot that is off of the grid and offers a place to bask in the sun, explore history, and snorkel among the coral and tropical fish, this is the place to go. 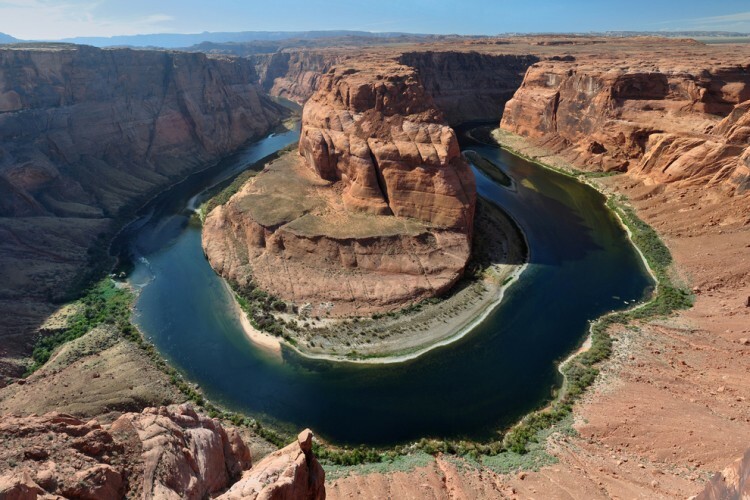 This site was given its name because of its horseshoe shape. It is located just a short distance from Page and offers excellent views of the Colorado River. This breathtakingly beautiful park consists of almost 150,000 acres for visitors to explore. It is located just a short drive away from Springdale and is a popular destination for nature lovers. 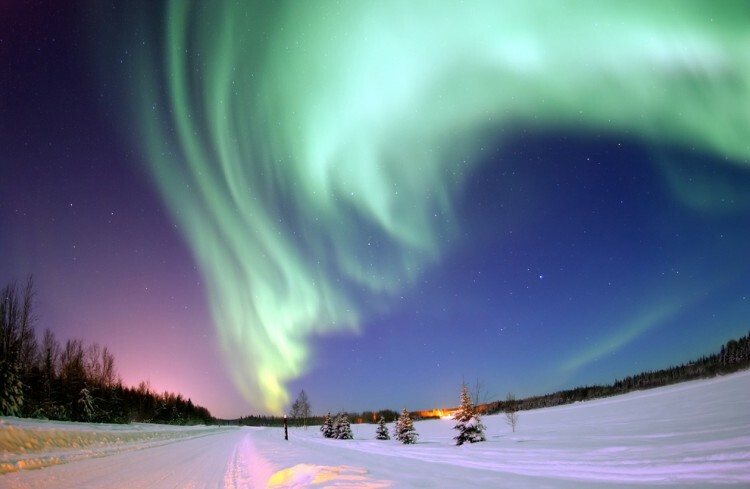 Less of a location and more of an experience, the Northern Lights are truly amazing to behold. Take a trip to Fairbanks and Anchorage for a front row seat anytime from September to April to see them in all their glory. Have you ever been to Niagara Falls? This popular location tends to be full of crowds. Rainbow Bridge and Falls provides a similar experience but with far less traffic. 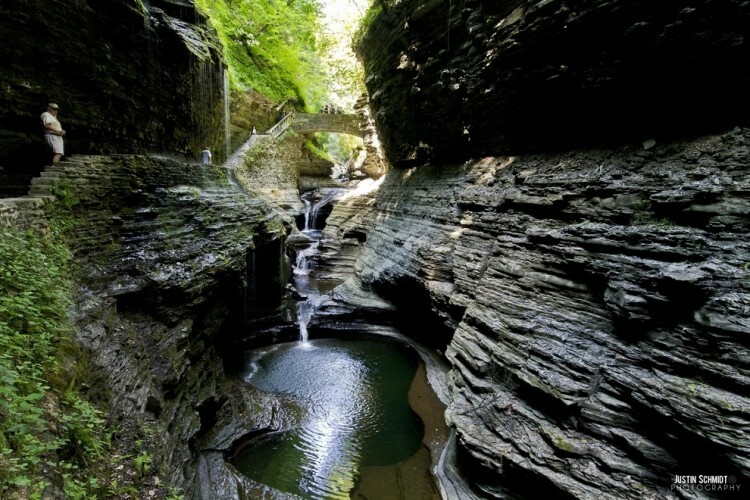 It is located south of Seneca Lake and its fantasy-like beauty will make you feel as if you are in Middle Earth. What did you think of the selection? Are there any places in America that I left out? Leave your thoughts in the comments below. Happy Traveling!